California says goodbye to its last nuclear power plant. What will replace it? Last week, the California Public Utilities Commission (CPUC) issued a momentous final decision to close the state’s last nuclear power plant, Diablo Canyon. This outcome represents the culmination of over a year of effort initiated by Pacific Gas & Electric (PG&E) in 2016. When PG&E first brought this to the commission, they called for the closure because the plant had become uneconomic in the face of customers increasingly leaving the utility for Community Choice Aggregators, like CleanPowerSF, and a changing electric grid that relies more on flexible, distributed energy resources like wind and solar. With its recent decision, the CPUC agreed with PG&E, stating that renewing Diablo Canyon’s license to operate beyond 2025 would not be cost-effective. What does the decision entail? Employee retention and retraining. The decision authorizes approximately $172 million for employee retention and retraining to ensure the plant has an adequate number of employees through the end of its license. What’s more, it gives employees who want to remain at PG&E the skills they need to take on new roles. PG&E gets paid for relicensing activities. PG&E can recover almost $20 million for the work they did through April 2011 to renew the plant’s license. Residents do not get paid for property tax impacts. 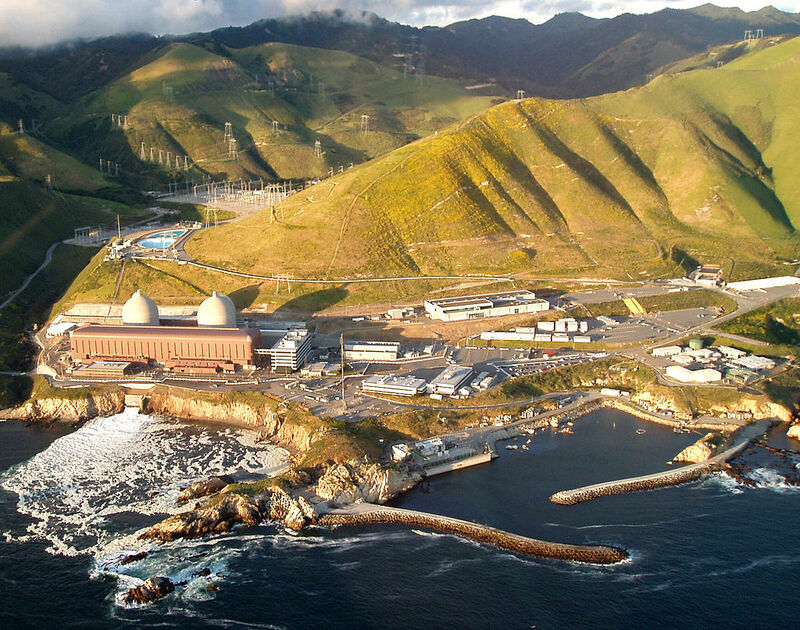 The commission denies funds for the Community Impacts Mitigation Program, designed in part to compensate San Luis Obispo County area residents for the loss of property taxes resulting from Diablo Canyon’s closure. Regulators will decide replacement in another proceeding. The decision shifts where the commission will consider and decide what resources will replace the plant to the Integrated Resource Plan (IRP) proceeding. This effort is already underway, and PG&E, along with other utilities, will submit their plans this June. Where does this leave California? At Environmental Defense Fund (EDF), we recognize nuclear energy can provide greenhouse-gas free electricity. However, we also agree that under these circumstances, continuing to operate an aging and increasingly unnecessary source of baseload power – or power that cannot ramp up and down quickly – doesn’t make sense. Additionally, PG&E and the commission need to replace the plant carefully in order to ensure Diablo Canyon’s closure doesn’t come with the unintended consequence of increasing harmful carbon emissions from fossil fuels. To that end, EDF will continue to push PG&E and the commission for an exact and clear plan about how they intend to fill the gap left by Diablo Canyon with diverse, clean energy resources. PG&E’s original plan to only use energy efficiency and utility-scale renewable resources to replace the nuclear power is not strong enough on its own to achieve California’s clean energy and climate goals reliably. EDF will continue to push PG&E and the commission for an exact and clear plan about how they intend to fill the gap left by Diablo Canyon with diverse, clean energy resources. In addition, the state needs energy management solutions like demand response, energy storage, and time-of-use electricity rates to better integrate more renewables and adapt to the state’s evolving energy mix. As demonstrated by Lawrence Berkeley National Lab’s Demand Response Potential Study, these solutions can shift energy demand to when cheap, clean resources, like solar, are abundant through price signals that make it more or less attractive for California businesses and residents to use electricity at certain times of day. They also offer a critical solution to steep increases in energy demand. Rather than turning to polluting natural gas plants to serve periods of high demand, meeting it with these clean energy solutions helps California use more renewables and rely less on fossil fuels. In the case of energy storage, electric vehicle batteries, for example, can charge when wind and solar are available and draw on that electricity at other times when it would otherwise be powered by natural gas. Shifting how people use electricity with these tools reduces the cost of the entire system, in part because they help the state use existing, cheaper resources more efficiently. With careful planning, the closure of Diablo Canyon will not deter California from continuing on its path as a clean energy leader for the country. In fact, replacing this aging nuclear plant with clean energy resources will continue to accelerate the transition to a clean, affordable, and sustainable electricity system. This entry was posted in California, Clean Energy, Energy Efficiency. Bookmark the permalink. Both comments and trackbacks are currently closed. Ms. Koehler, if emissions increase as they did after the closing of San Onofre, will you take partial responsibility? With the closure of Diablo Canyon, California losses much more than carbon free production of electricity; each reactor can desalinate enough sea water to provide fresh, clean water that would satisfy the needs of 30,000 homes each day. SHUT THOSE REACTORS NOW!!!! Unless you can tell us exactly when the San Andreas will reduce to rubble those monuments to hubris and stupidity, there is no justification for allowing them to operate another moment. Larissa, your feverish anticipation duly noted, the California Public Utilities Commission’s decision is not “momentous”, and Diablo Canyon Nuclear Power Plant has not been “closed”. It’s not even an “aging nuclear power plant”, and would not be replaced not by “cleaner energy resources” (there aren’t any), but by burning natural gas, just like San Onofre was in 2013. Nope, sorry to disappoint, but Diablo Canyon will be generating 17 trillion watthours of carbon-free electricity for at least the next eight years, as pseudo-environmental orgs like EDF and their fossil fuel backers realize what they’re up against. You have no idea, do you? You will. In a state run by useless attorneys, we can expect more of these inept energy decisions. Those qualified to make these decisions (engineers, scientists) have been replaced with lawyers, administrators, and political science majors. Welcome to 3rd world America, where science is dictated by those who have never studied it. This is full of lies and and a big incorrect mention of that we need some more day/night consumption leveling, which has no impact on not needing reliable energy. It is twisted in so many ways to make it look good on paper. Destroying a clean resource in this time is going to make more CO², like with San-ofre. As an attorney with EDF’s California Clean Energy team, Larissa engages in multiple regulatory proceedings at the California Public Utilities Commission. 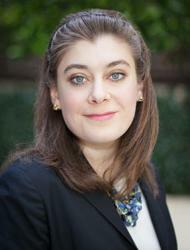 She also engages in policy analysis and legislative advocacy on key issues relevant to the US Climate and Energy program.